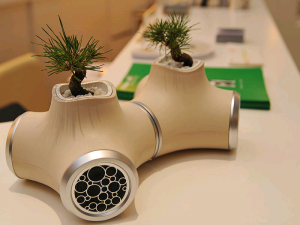 I think its time for a TOP 5 list, just because- so here it is: The TOP 5 Strangest Eco-Friendly Solutions. You may not have known these were even problems, but somebody somewhere did. I had no idea how to even rank them, but without further delay, here we go! This sure looks cool and is probably moderately effective against poison arrow dart attacks, but seriously? I would think some heavy chaffing and pinching would be involved. While it probably isn’t so much practical, it is kinda pretty and reminds me of chainmail, why not- right? A work of art, these creations by Ingrid Goldbloom are pretty stunning. I wish people could make up their mind, but i guess some people want it all. Or maybe you are a runner that wants to hang out with biker friends. Possibly you have an aversion to bike seats and would like to have kids someday. The treadmill bike allows you to run instead of pedal, you can even up the resistance! This conjures up good memories of the bamboo bike. Well, they say that plants grow better when exposed to music don’t they? I don’t think we are going to save much green space with these, but they do give you a good feeling inside. These JVC speakers have a little pot on top to plant your favorite miniature, they even link together similar to legos. I hope they are waterproof- i think i would go with a cactus motif just to be sure. 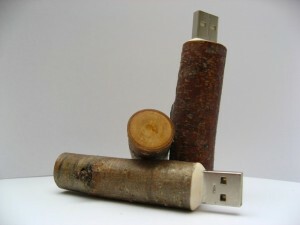 Wood seems to be the new eco-chic thing to pair with electronics, so why not do it to a USB stick drive? Seems only natural. Natural birch that is. Collected from the forests of Berkshire, England – these silver birch sticks are dried, hollowed, sanded and waxed before the flash drive chips are sealed into the wooden receptacle. Using 2GB flash sticks, they are a bargain at £18 shipped from flashsticks. I’m probably pushing this one, but it is organic! For those mornings where you really crave pancakes, but you just don’t have the time. I have not tried it, but it sure seems convenient. “Just point, blast and cook!” is the tag line and it sure looks that easy. I wonder if it looks like whipped cream?